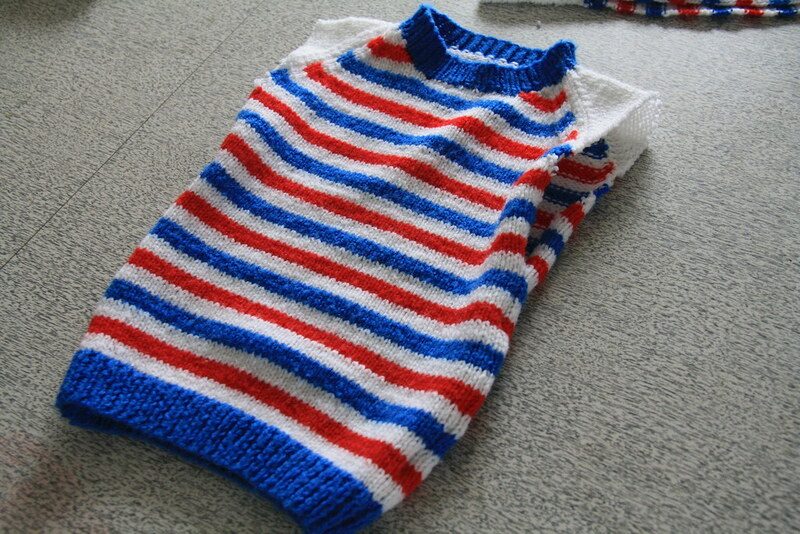 I've been wanting to sew this for awhile because yes, I am one of those strange people that likes to dress their pets. And you should be too. A cheap, easy, and fast project - for beginners especially, I really recommend it! 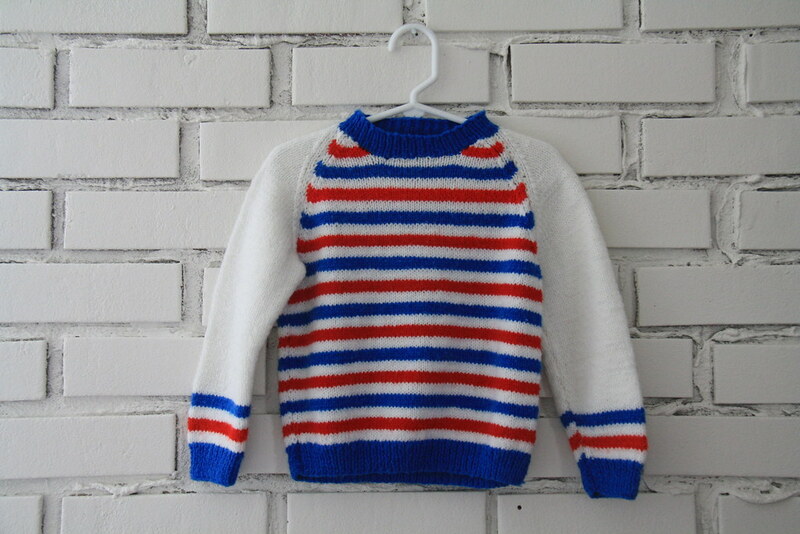 Here is how I sewed a sweater for little Bloom using a thrifted boy's sweater. 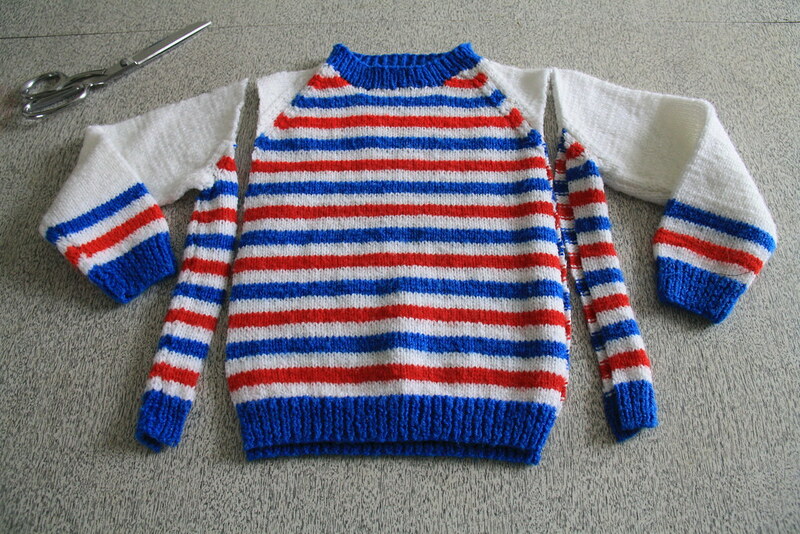 What you need for this project.. measuring tape, a recycled sweater that's large enough to fit your pet, a sewing machine with a zig zag stitch, and an animal. 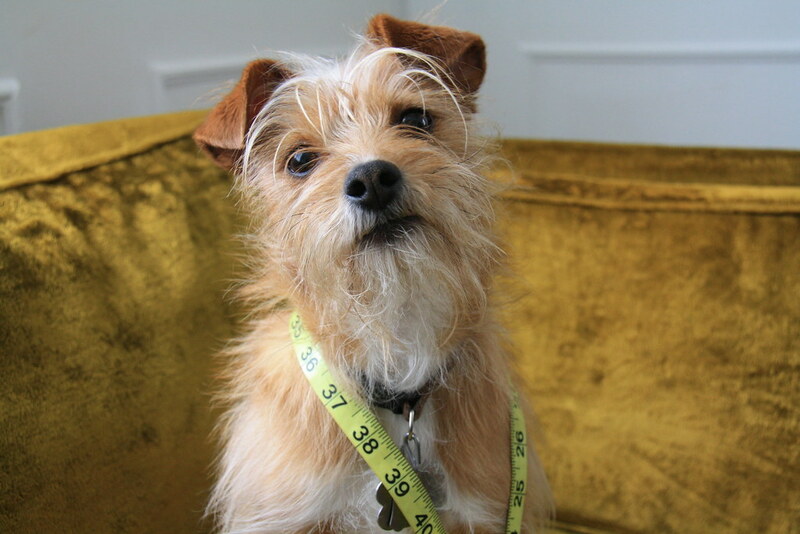 To begin, I measured our terrier Bloom at a few spots using measuring tape - around her neck, around her front legs, her back from the base of her neck to right before her back legs, and around the fullest point of her ribs. 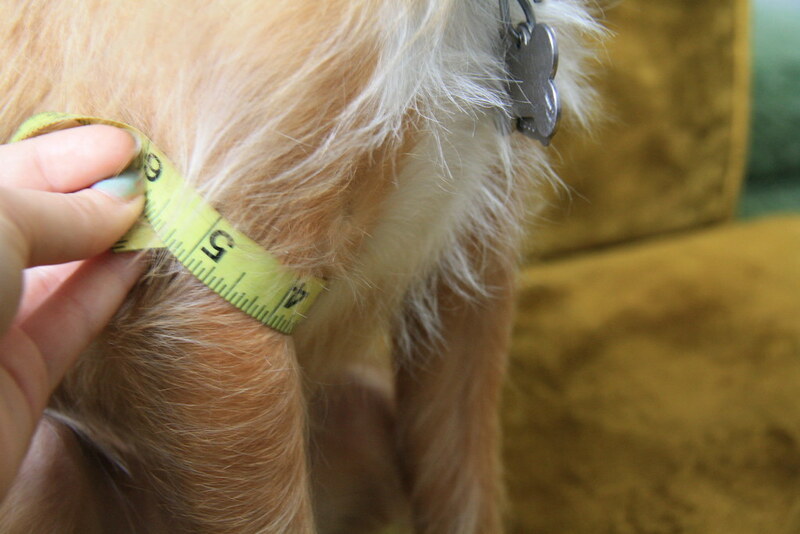 Now you know these measurements, you can cut into your sweater. 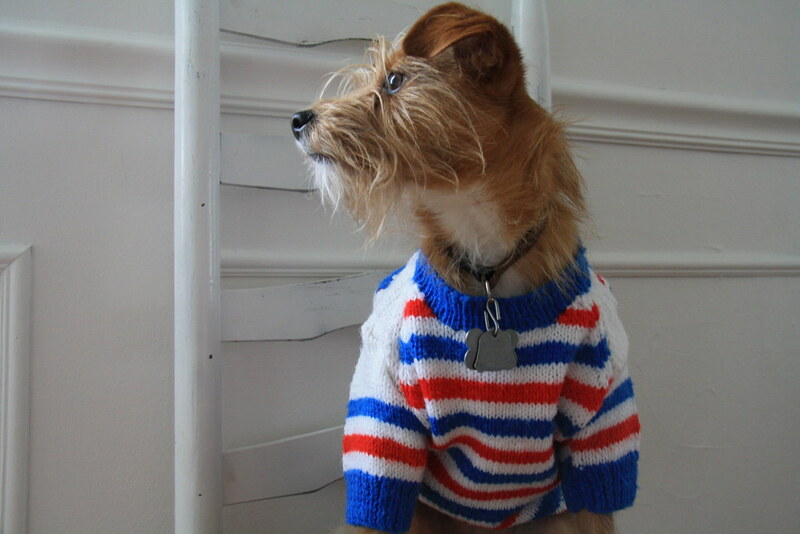 It's a good idea to try the sweater on your pet just to get an idea of how much you'll be trimming. Laying the sweater down flat, I trimmed the side edges off (including the sleeves), leaving the fullest rib measurement in the middle plus a couple of inches for seam allowances and ease. 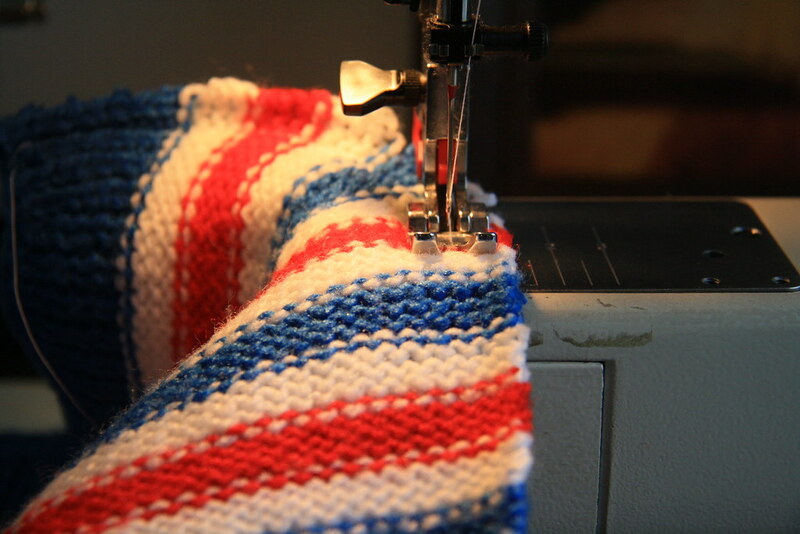 If the sweater is too long, trim it now and finish the bottom edge by sewing the ribbed edge back on. 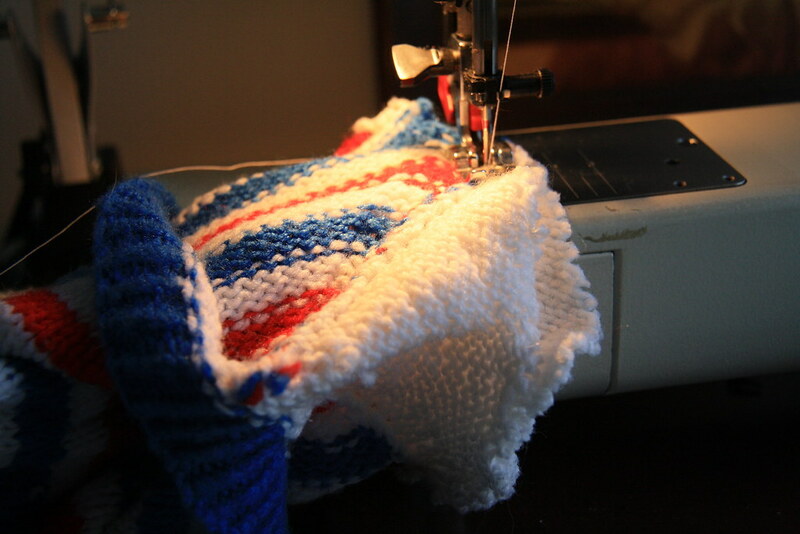 Then, I sewed the edges back together from the bottom to about 3/4 of the way up (leaving room for armholes). Now, time for sleeves. Measure the armhole, then cut the leftover sleeves at a diagonal (from arm pit to shoulder, increasing in length) using that measurement as the required length for the cut edge. 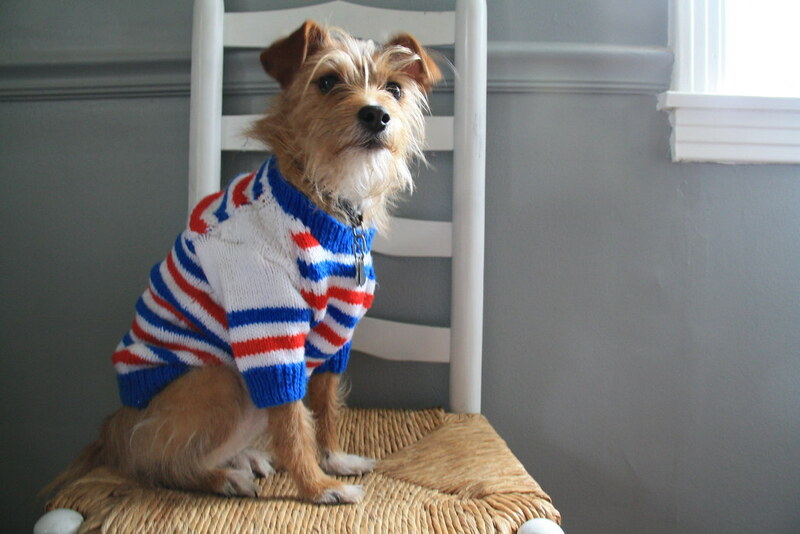 Make sure to cut the sleeves short enough to allow movement for your pet. 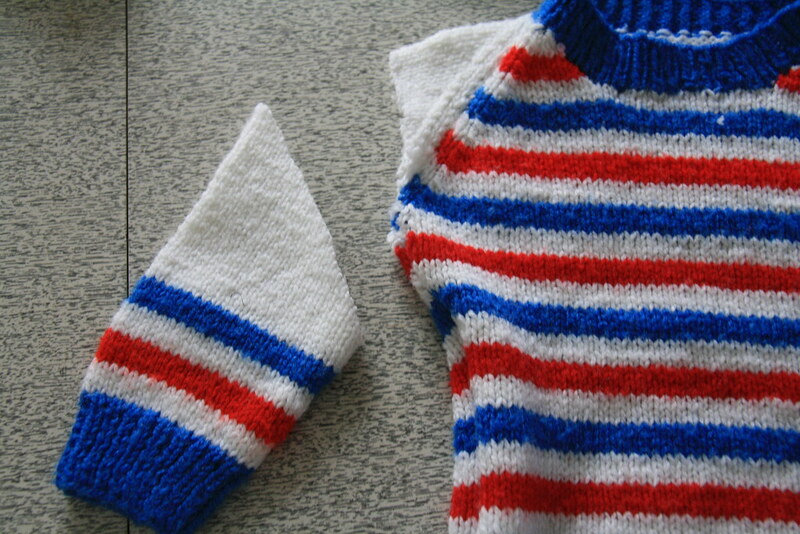 Once the sleeve has been cut, turn it so the arm pit seam is upright and in the center. 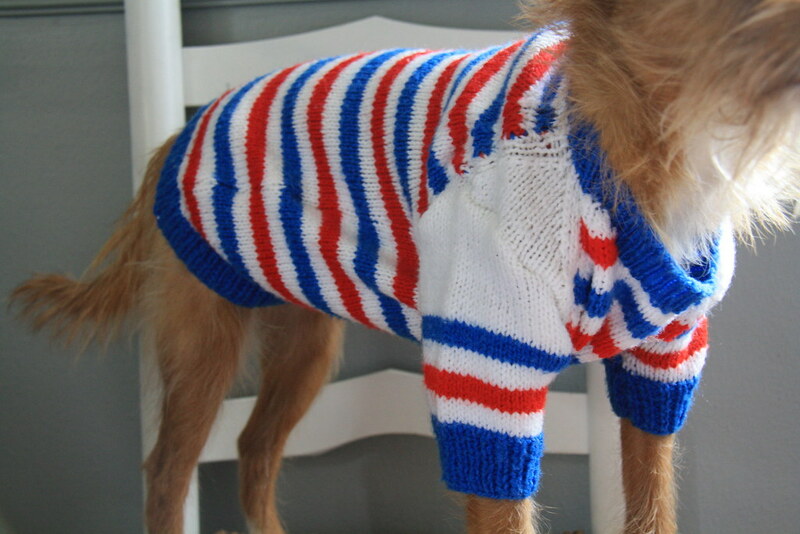 This is how you'll sew the sleeve back on, so the shoulder of the sleeve is sticking upright when your pet is wearing the sweater. 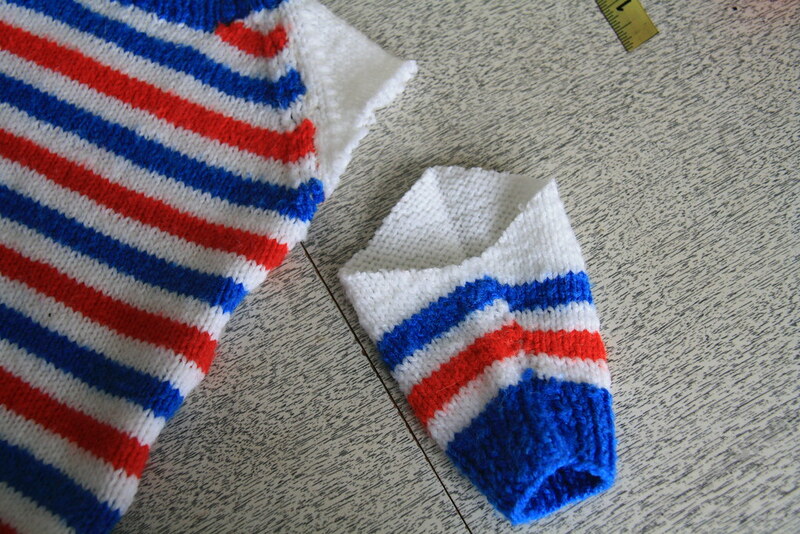 Right sides together, sew the sleeve onto the armhole of the sweater. That's it! 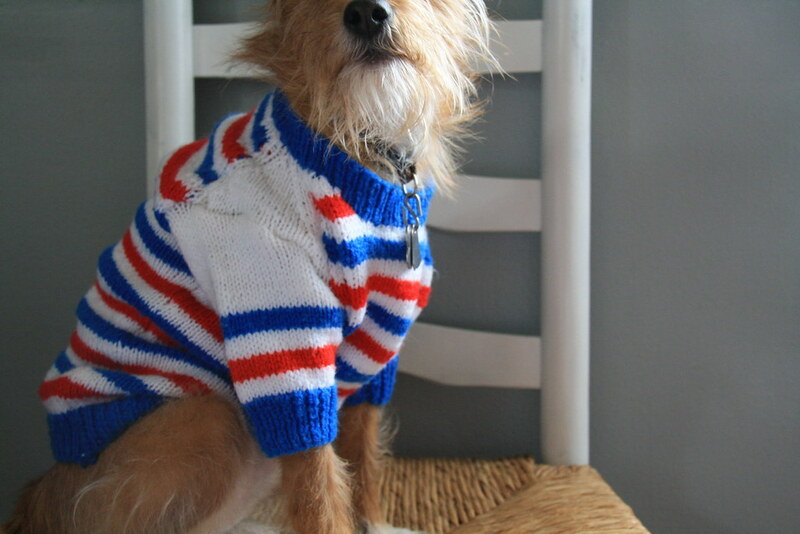 You have a cozy sweater for your pet to wear. I actually made Bloom's a bit too big, so I need to take it in now. 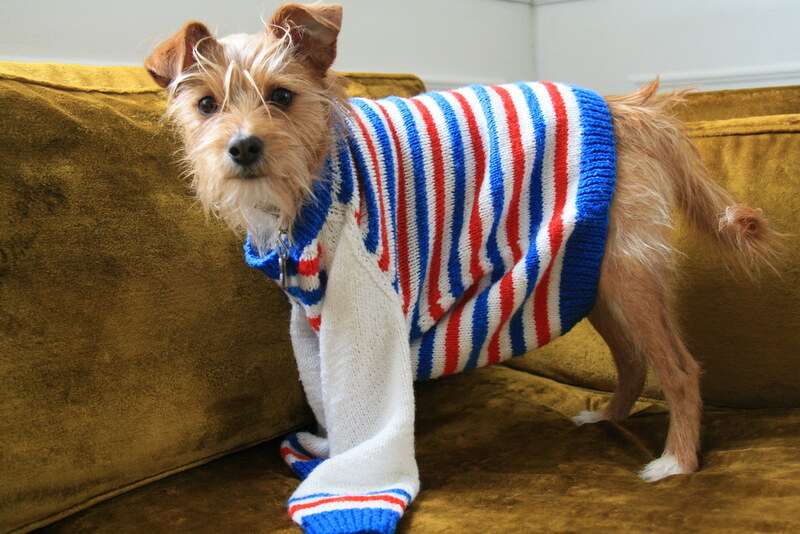 Be sure to try the sweater on your pet periodically during the process so you know it'll be a good fit (aka don't make yours too big like I did). 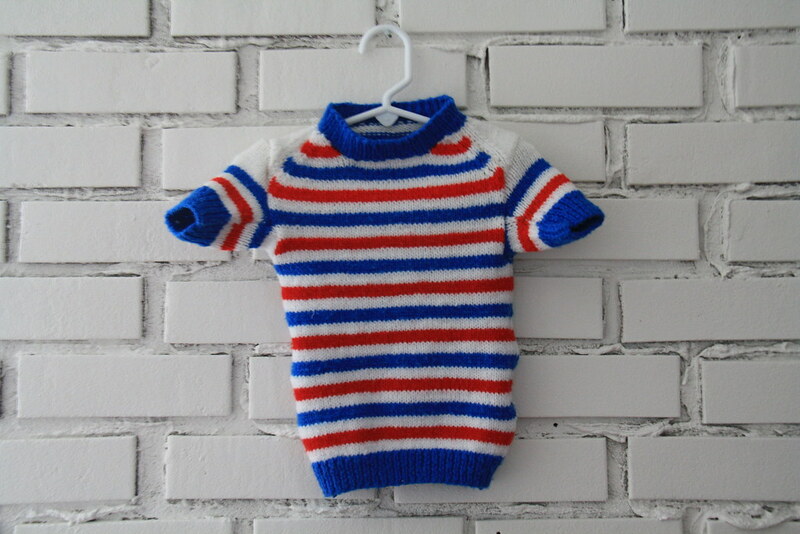 For those who can't find a sweater small enough (although thrifted baby sweaters might do the trick), here is a great tutorial that's better suited for tiny dogs (and cats). Next weekend.. it's dip dye time.